Disclaimer: Playpolicy.com is a participant in the Amazon Services LLC Associates Program, an affiliate advertising program designed to provide a means for sites to earn advertising fees by advertising and linking to amazon (.com, .co.uk, .ca etc.) and any other website that may be affiliated with Amazon Service LLC Associates Program. 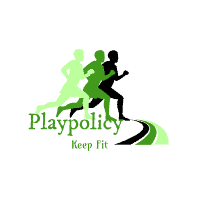 Playpolicy.com offers data and information for general use only and does not endorse any specifics product or service. We highly recommend that you seek independent professional advice before purchasing any product or service through Playpolicy.com.